Firebase is now Google’s default platform for app developers, and over the course of the last four years since it was acquired, the service has greatly expanded its feature set and integrations with Google services. Today, it’s rolling out yet another batch of updates that bring new features, deeper integrations and a few design updates to the service. 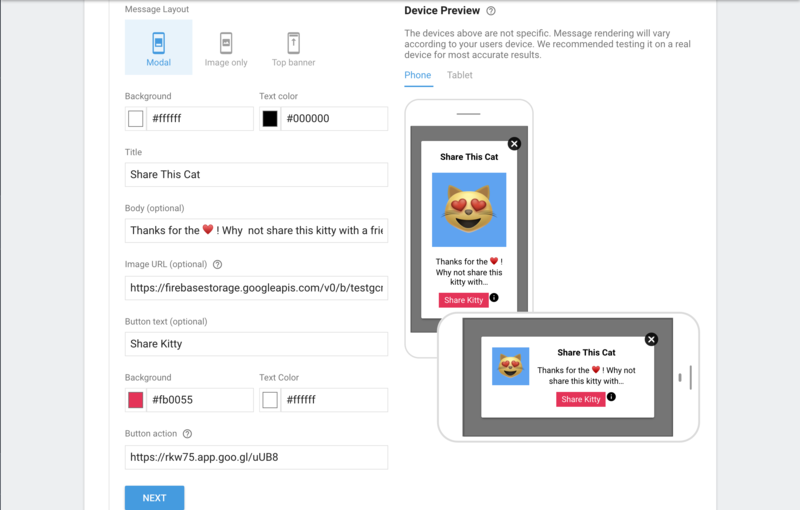 The highlight of this release is the launch of in-app messaging, which will allow developers to send targeted and contextual messages to users as they use the app. Developers can customize the look and feel of these in-app notifications, which are rolling out today, but what’s maybe even more important is that this feature is integrated with Firebase Predictions and Google Analytics for Firebase so that developers can not just react to current behavior but also Firebase’s predictions of how likely a user is to spend some additional money or stop using the app. Developers who use Atlassian’s JIRA will also be happy to hear that Firebase is launching an integration with this tool. Firebase users can now create JIRA issues based on crash reports in Firebase. This integration will roll out in the next few weeks. Another new integration is a deeper connection to Crashlytics, which Google acquired from Twitter in 2017 (together with Fabric). Firebase will now let you export this data to BigQuery to analyze it — and then visualize it in Google’s Data Studio. And once it’s in BigQuery, it’s your data, so you’re not dependent on Firebase’s retention and deletion defaults. 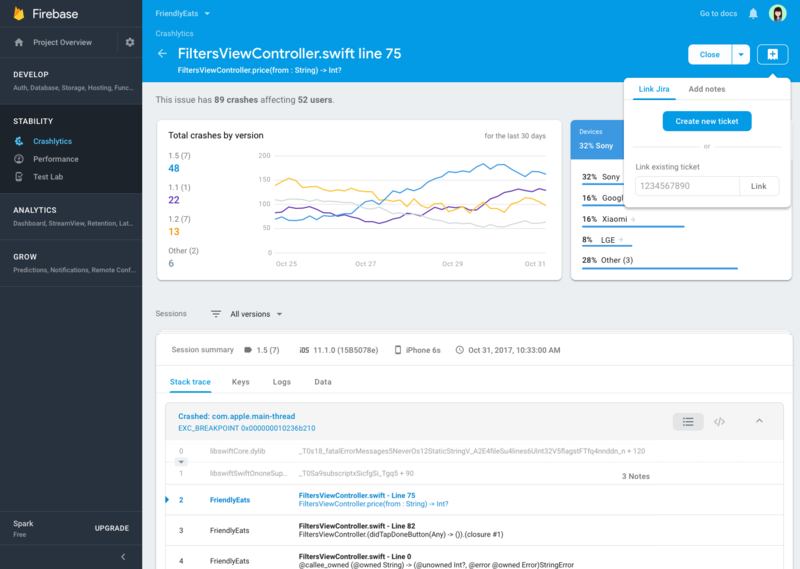 Talking about reports, Firebase Cloud Messaging is getting a new reporting dashboard and the Firebase Console’s Project Overview page has received a full design overhaul that’ll allow you to see the health and status of your apps on a single page. The Latest Release section now also features live data. These features will start rolling out today and should become available to everybody in the next few weeks. Firebase Hosting, the service’s web content hosting service, is also getting a small update and now allows you to host multiple websites within one project. And when you push an update, Firebase Hosting now only uploads the files that have changed between releases, which should speed up that process quite a bit.